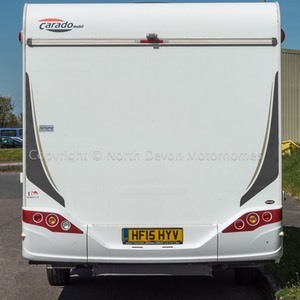 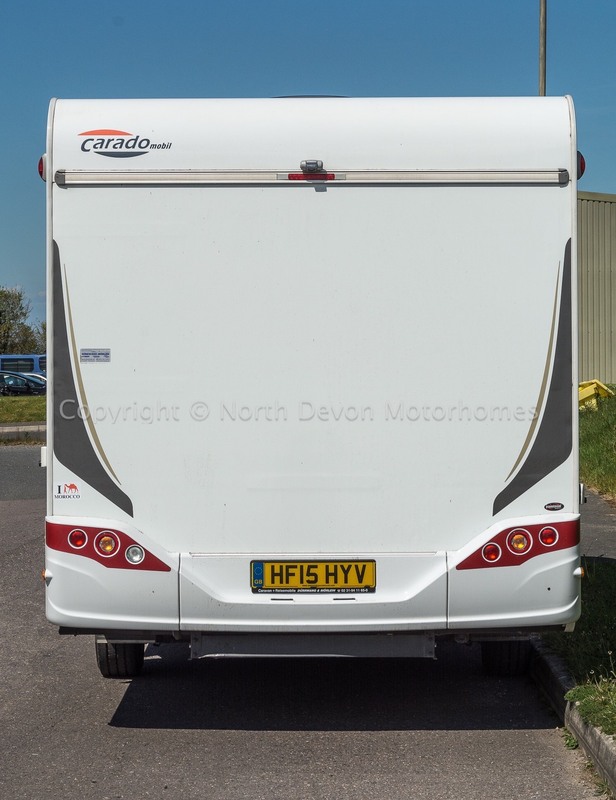 Carado is the relatively new operation that’s part of Germany’s Hymer Group. 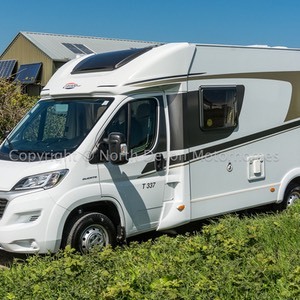 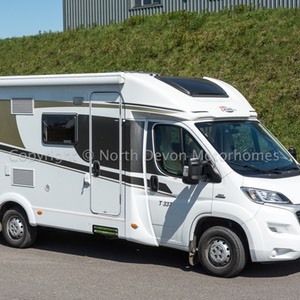 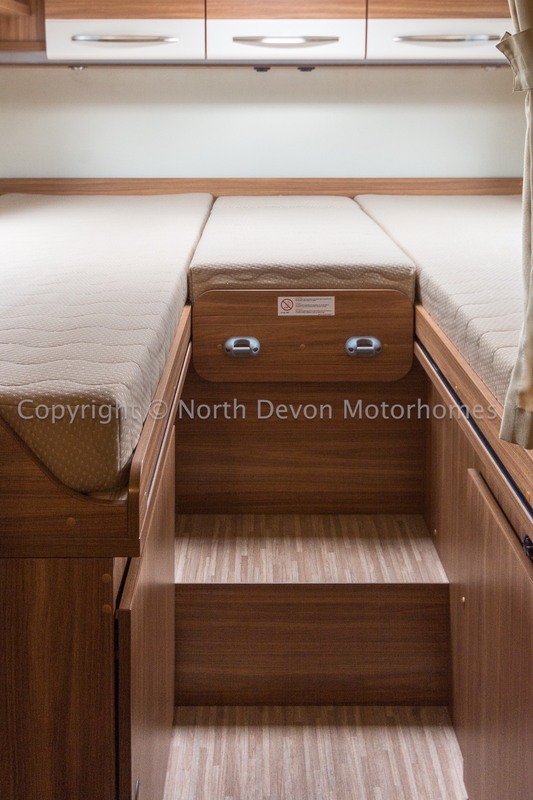 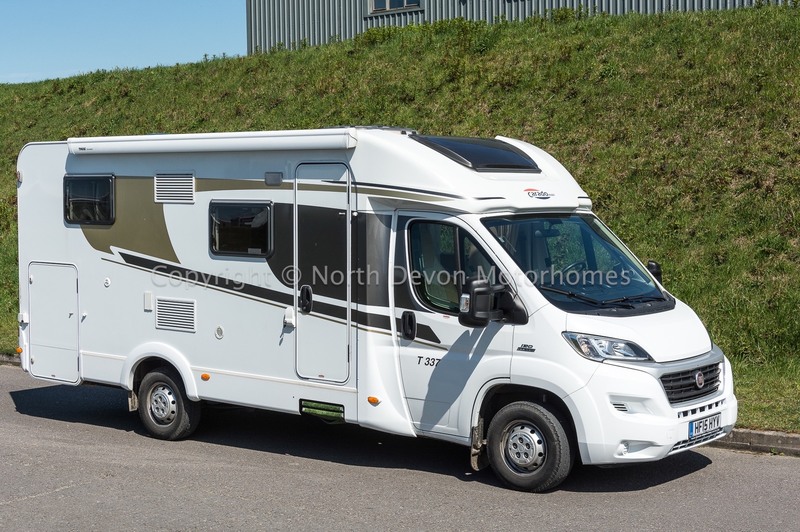 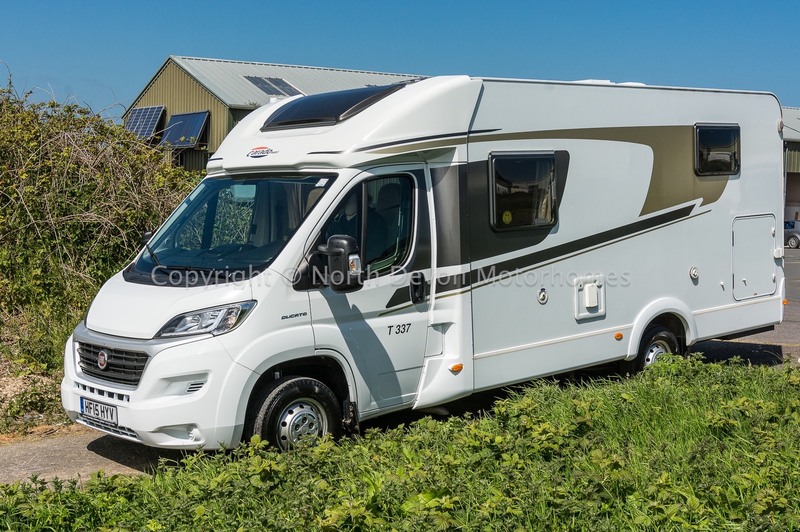 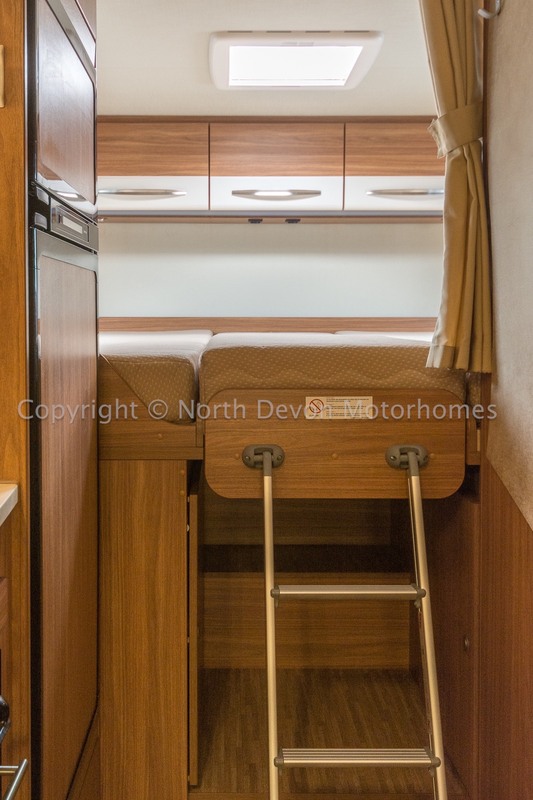 The T337 offers travel for four and sleeping arrangements for two, an arrangement that offers the choice of two single beds or the opportunity to make a very large double. 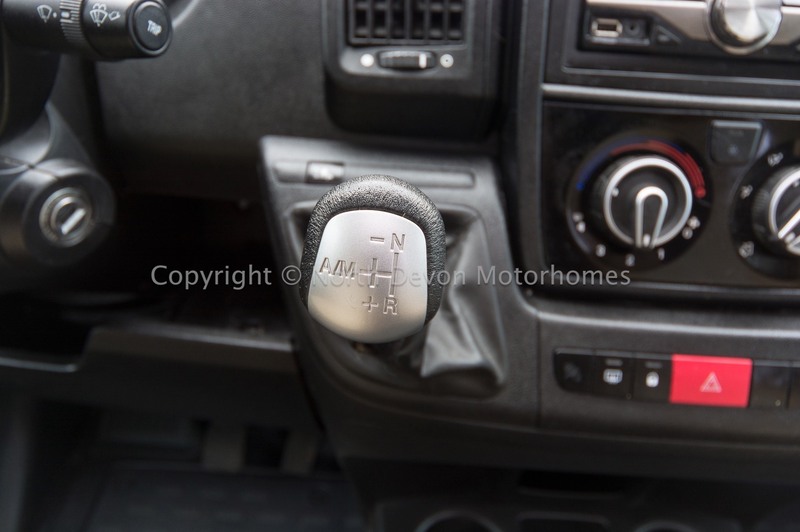 Being left hand drive and with the Auto gearbox upgrade it’s just ready for those European holidays. 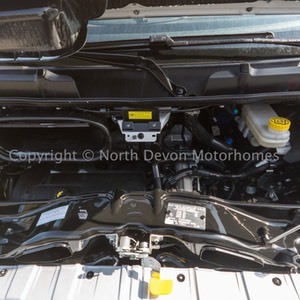 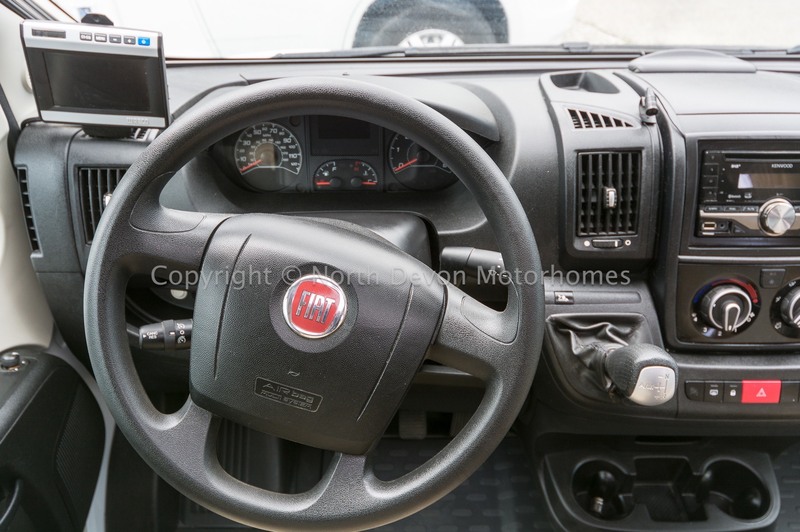 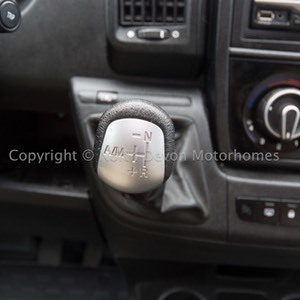 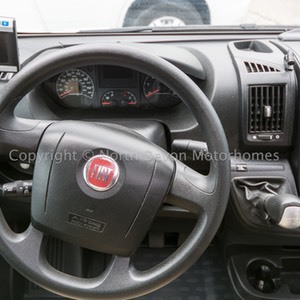 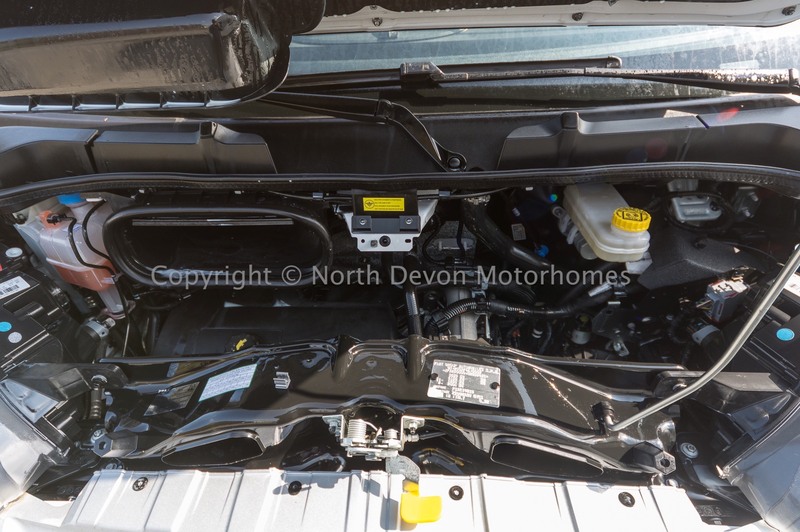 Auto gearbox, Electric Windows and Mirrors, PAS, Drivers and Passengers Airbag, Kenwood Bluetooth CD DAB Radio, Fitted Cab Blinds, Swivel Captains Seats, Aircon, Cruise control, Reversing camera. 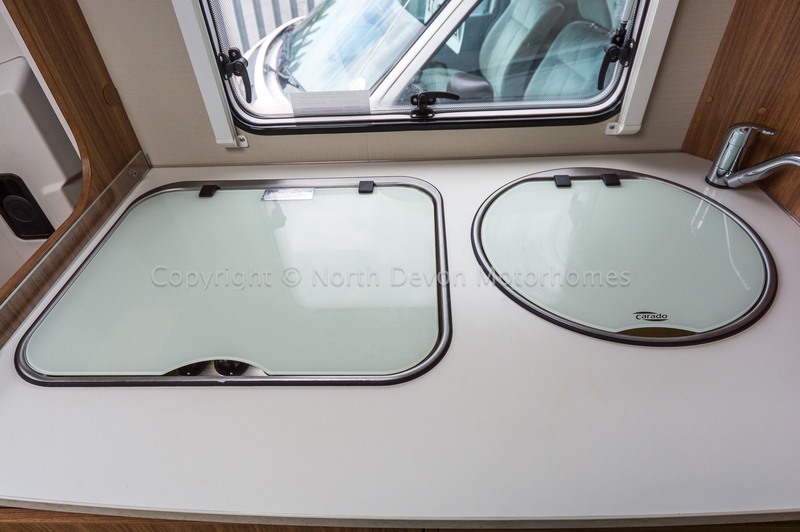 USB charging Point, Low profile skylight. 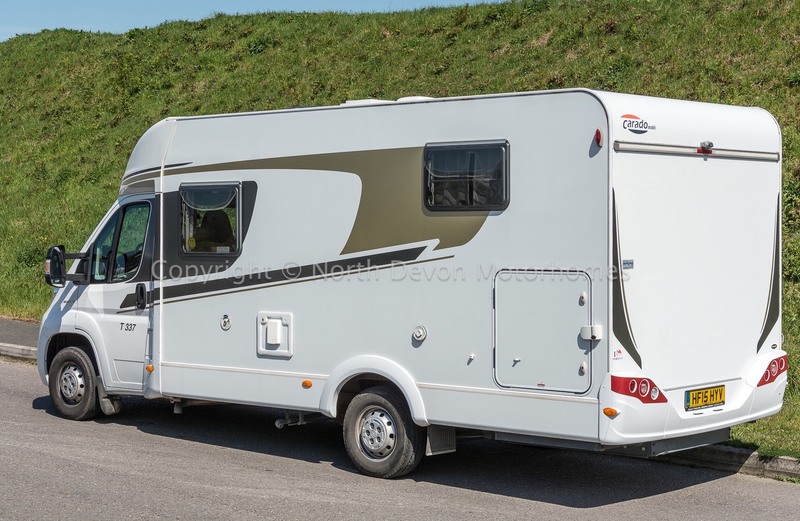 4, Drivers and Passengers and 2 travelling. 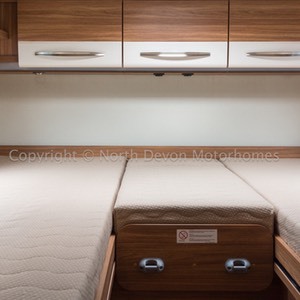 Rear fixed single beds converting to double, Centre Washroom and Kitchen, Forward Lounge Diner. 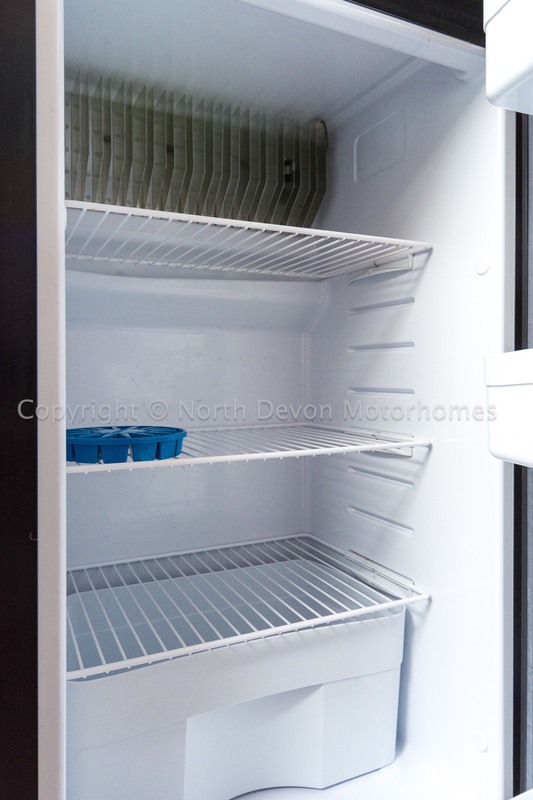 Large rear garage with two access doors. 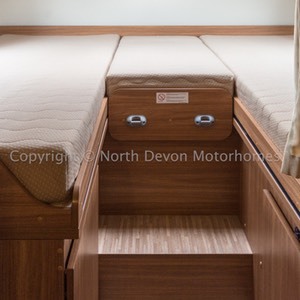 2 (possibly plus childs bed), Two singles in bedroom converting to a double. 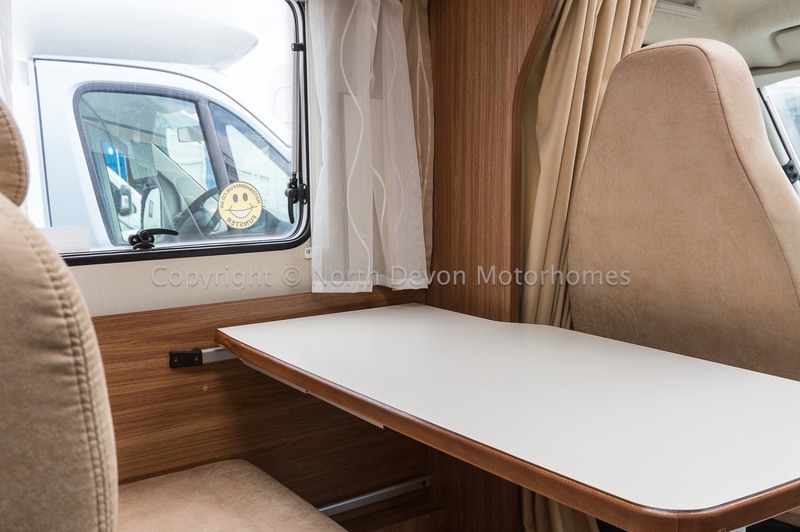 The lounge could possibly be used for children as the table will lower in front of seat. 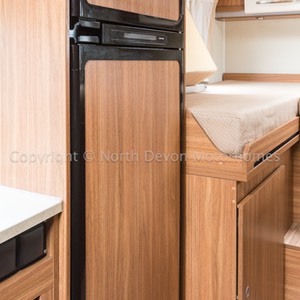 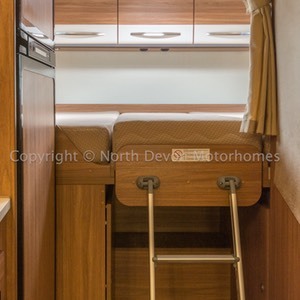 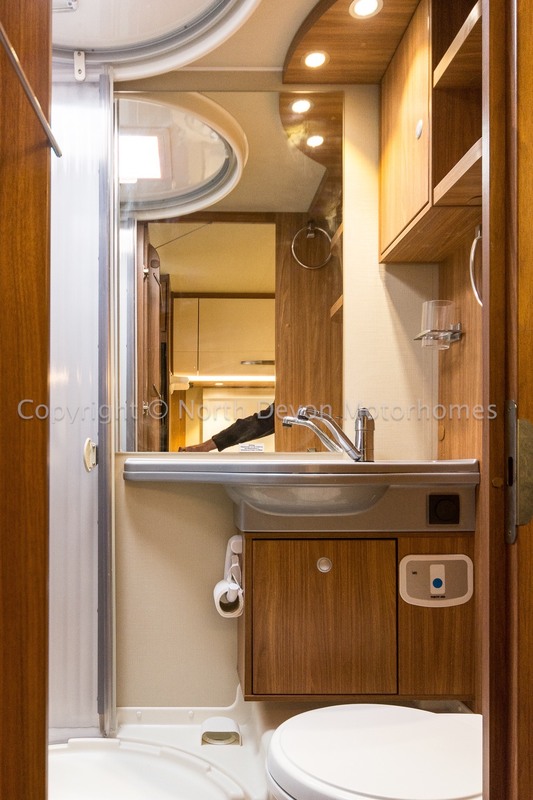 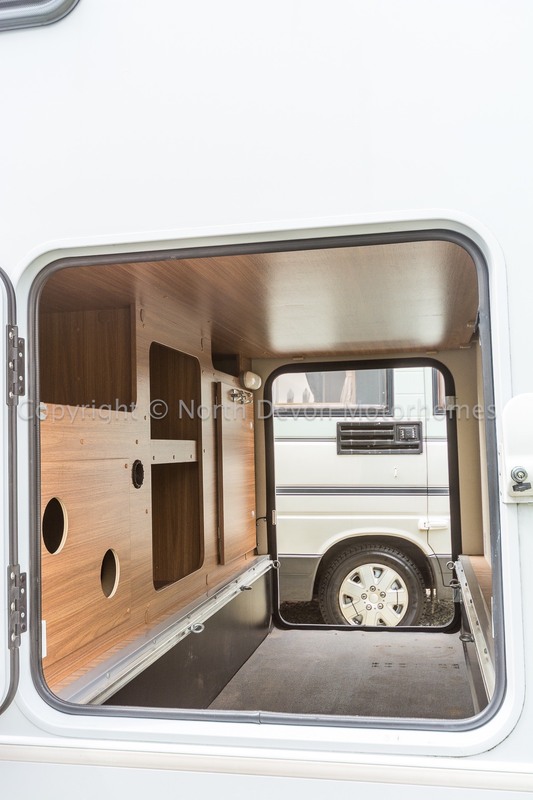 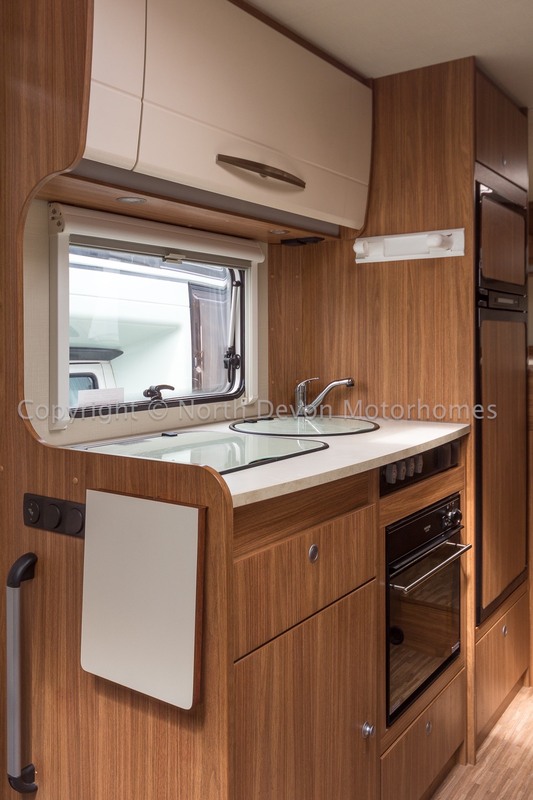 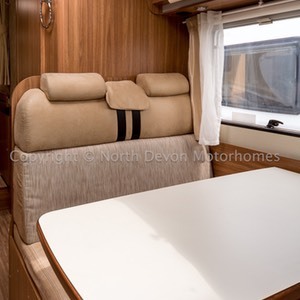 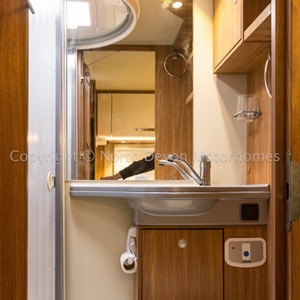 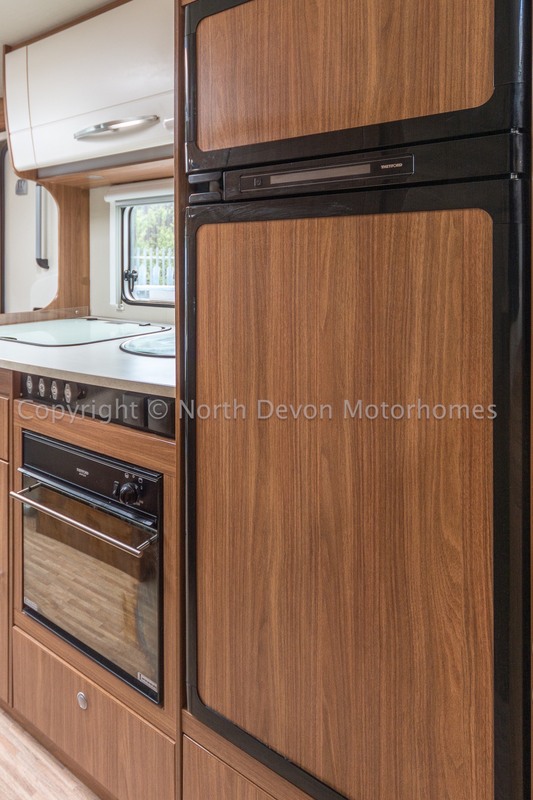 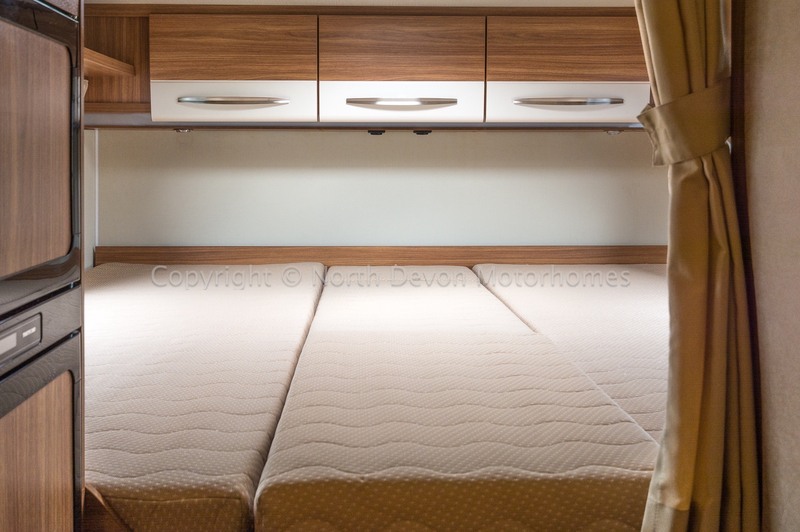 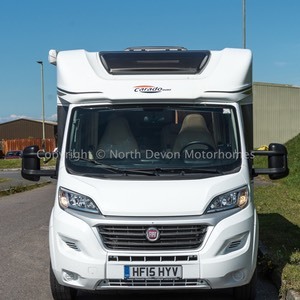 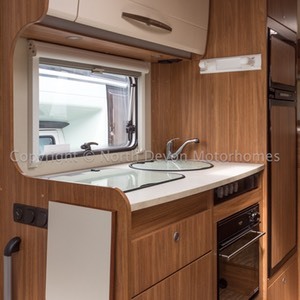 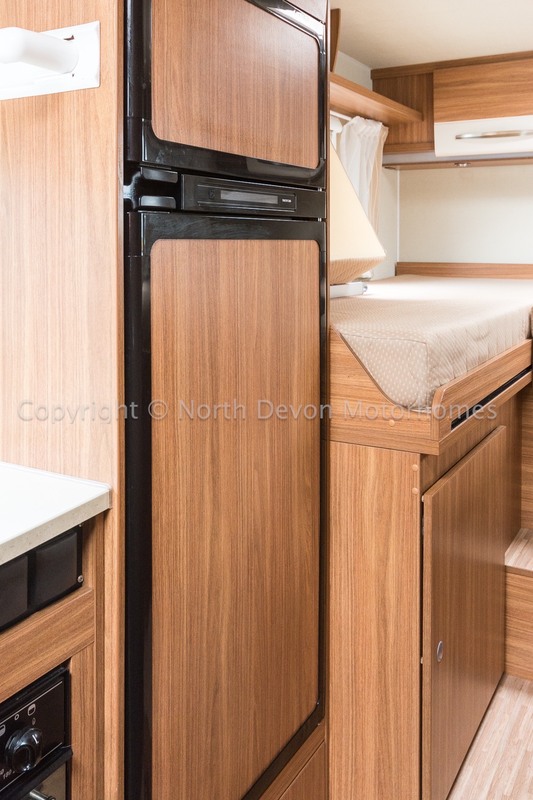 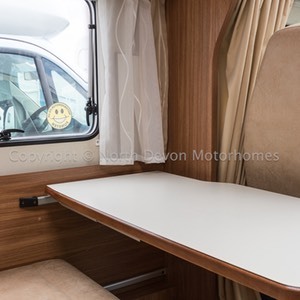 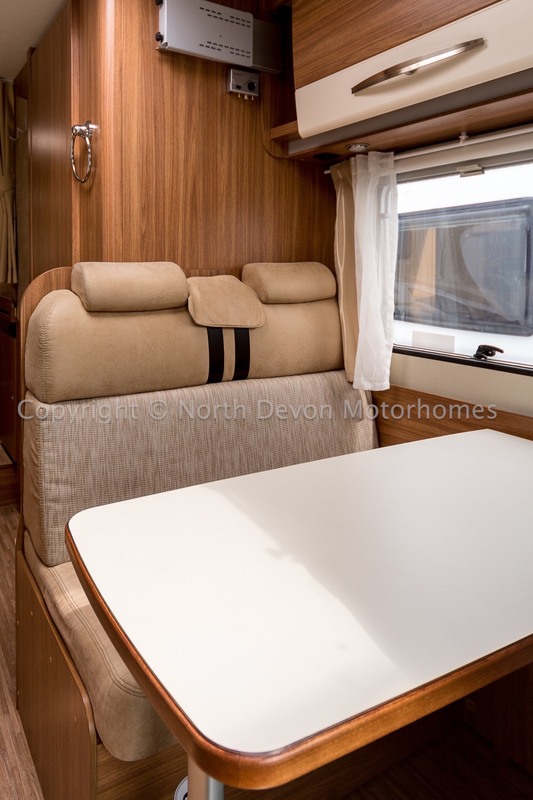 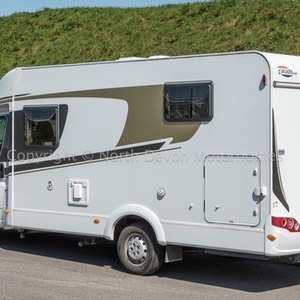 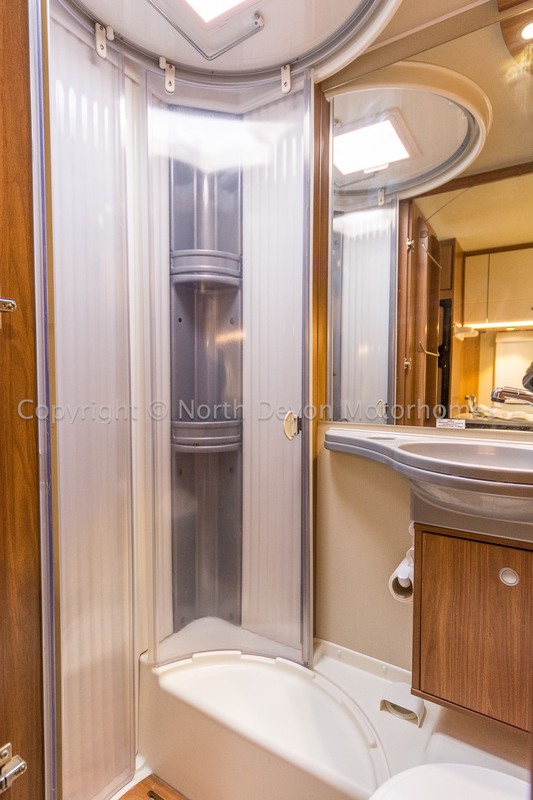 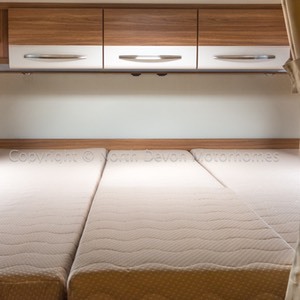 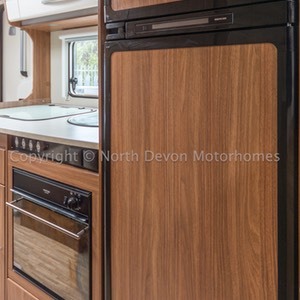 Although this is classified as a 2 berth, If you’re taking a small child with you, the dinette table can be lowered and a further small bed can be fashioned. 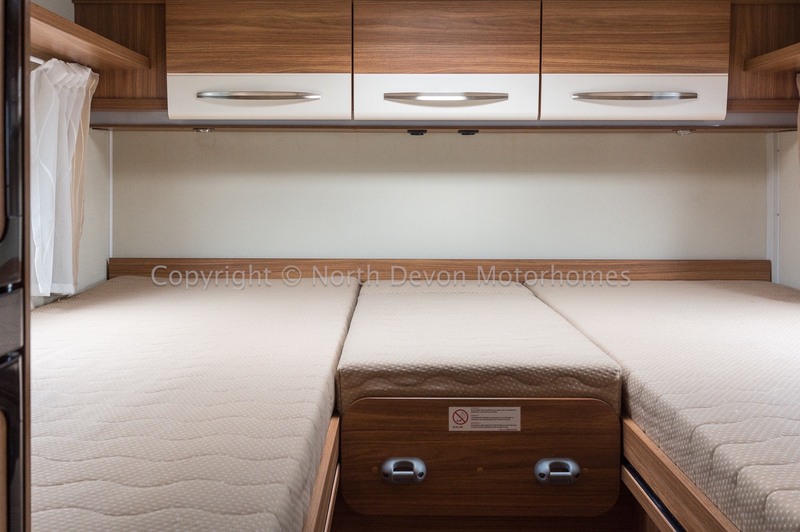 Twin fixed single beds with storage under converts to a large double, overhead lockers, Skylight. 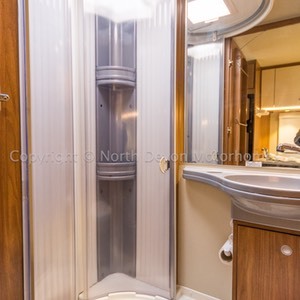 Swivel ceramic bowl cassette toilet, Shower, Fixed moulded sink with mirror over and storage under, 12V lighting, Skylight. 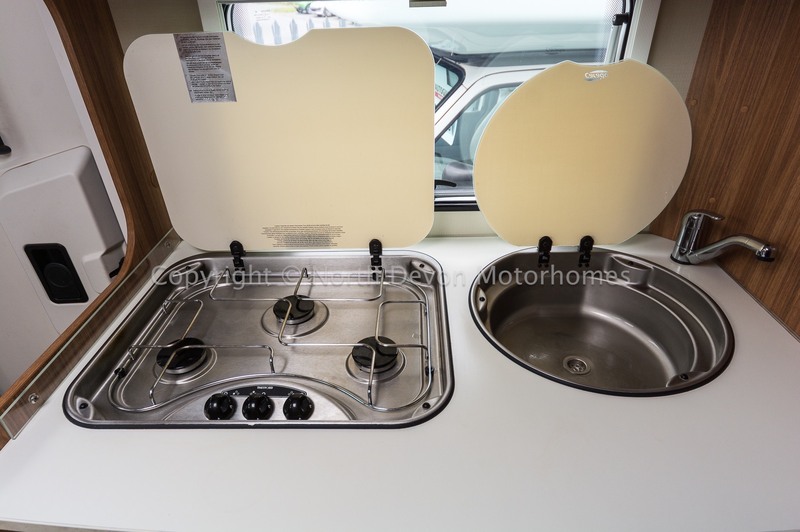 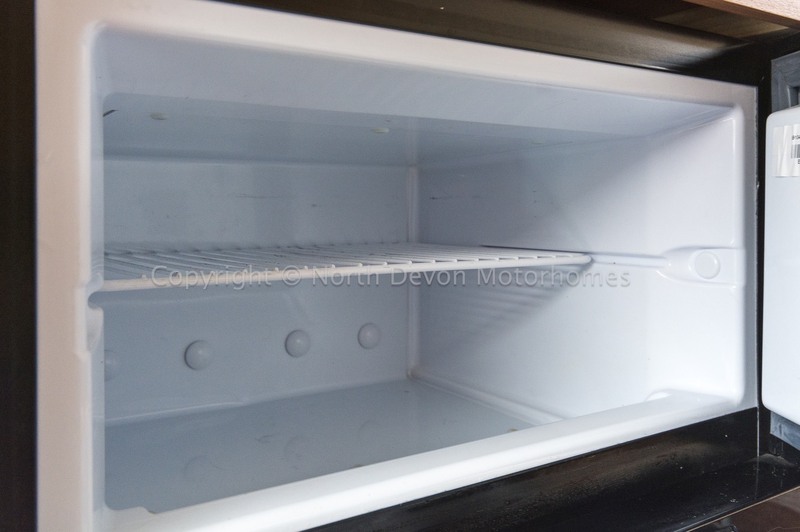 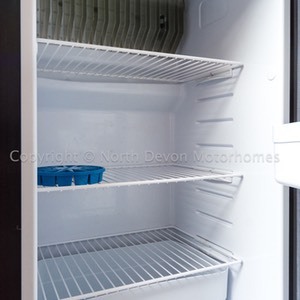 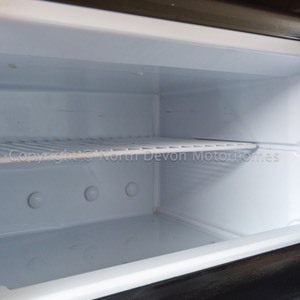 Three burner gas hob, Oven and grill unit, Sink, Tower 3 Way fridge/freezer, Low and high level storage, Roof vent. 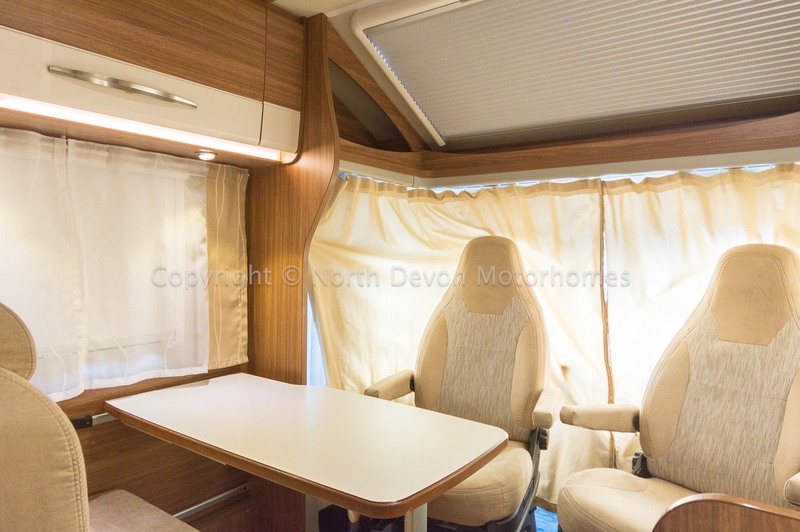 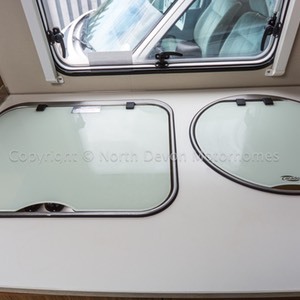 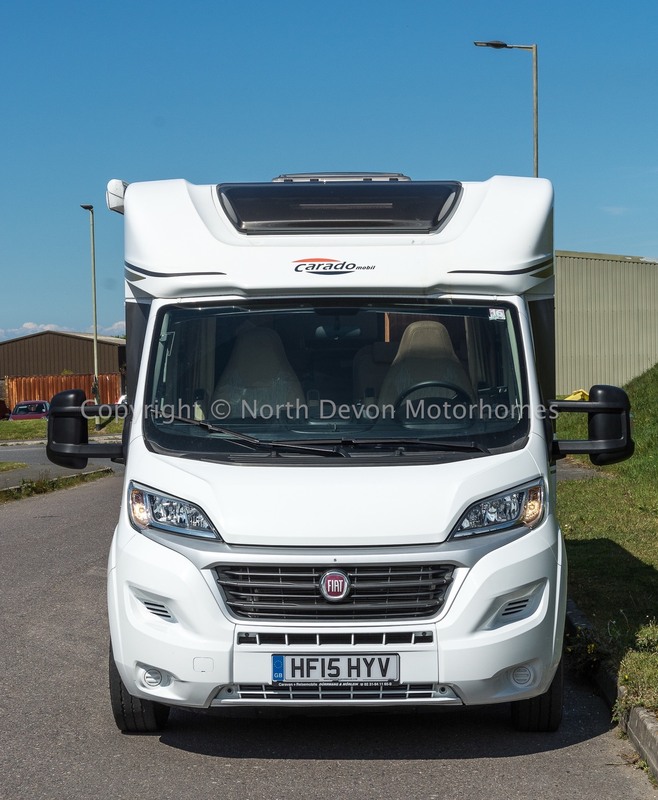 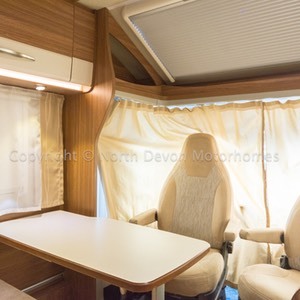 Bright and airy lounge, Forward facing dinette, cab seats swivel to incorporate into the lounge, TV bracket, Heki Rooflight and large overcab window. 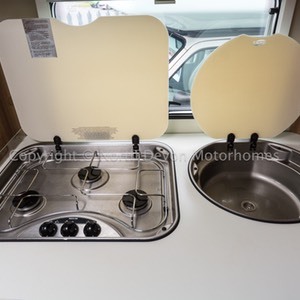 Solar Panel, Reversing camera, TV Bracket, Awning, Gaslo refillable LPG system. 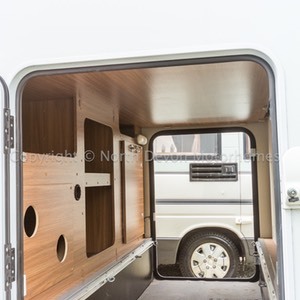 A van with just about everything you could want for off grid camping on the continent, in beautiful condition and a high quality comfortable interior to relax and sleep in.